The panoramic ocean and beach views from either level of this immaculate 2 bedroom, 2.5 bath townhome are breathtaking. You'll find all the comforts of home, including free phone service, internet access, wide-screen TV, propane gas barbeque grill and more. There's great snorkeling just beyond the white sandy beach. 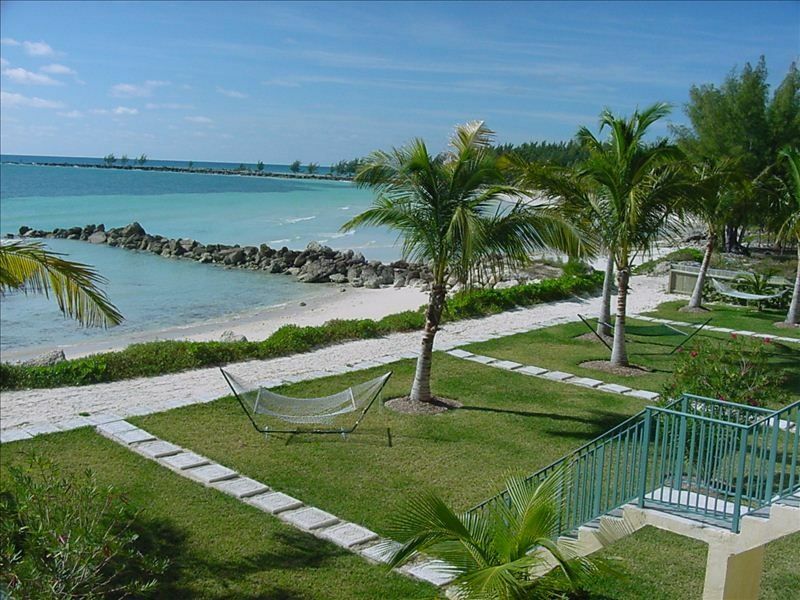 Located in a gated community, you'll be undisturbed and peaceful for a relaxing getaway. Whether it's a gorgeous sunrise or sunset you're after, you'll find both here at this idyllic spot. The main level on the second floor has a fully equipped kitchen, laundry, half bath, dining area to seat six comfortably, and a living room with a 54' TV. The 10-foot ceilings give the condo a light and airy island feel, and the large wall of windows and sliding glass doors to the lanai bring the ocean to you. The second level on the third floor offers a linen closet, and two bedrooms. Enjoy the view from the king size bed in the master bedroom. The private lanai is a great place to lounge and relax. There are 2 'his and hers' vanities and a whirlpool tub in the spacious en suite bath. The second bedroom is furnished with a queen bed and has a private bath. The condo was great and was exactly as shown in the pictures. The views were spectacular. The water was closer than expected and the beach seemed like our own private beach. The outside property was very well maintained. Really enjoyed our stay. This Villa was so much bigger than it looks from the pictures. Waking up every morning to the sound of the waves and smell of fresh air was simply wonderful. The views from both balconies were absolutely amazing, the sunsets were awesome every night. Being able to swim in the warm ocean was a delight. The Bahamian people were the friendliest. We loved everything about our visit. We are hoping to come back some day and would definitely want to rent this condo again. Condo was clean and very nice. The only complaint about the condo itself would be that one of the bathrooms is very small and the shower head was useless. The landscaping and beach was somewhat of a disappointment due to the hurricane last year. We had a great time though. Condo and the view are nice, but....everything else is not. The condo is very nice and the description was accurate. The view is beautiful and the beach is very nice. But everything else on Grand Bahama Island was incredibly disappointing. I wish I would have done more intense research on the island before booking. The buildings are in disrepair, the landscaping is a mess from the hurricane and everything looks war torn. Not one bit of clean up looks to have been done since last fall - except for the hammering of the roof repair to a neighboring unit. That went on all day. After 2 days, we decided to cut our losses and return to Florida for the rest of our week. We chose to lose the rental money and spend even more money to be able to relax and enjoy our vacation. We have been to other islands in the Bahamas years ago and this one was the biggest disappointment. The owners should have conveyed the hurricane damage/non clean up before we arrived. I have rented many times through VRBO/Homeaway. This is the first time I have been disappointed in my trip due to the location. The condo is wonderful. The air condoning in the guestroom is noisy but overall was great. First time to the Bahamas, first time VRBO, absolutely loved the place!!! The owners were professional and so great to deal with, emails were prompt, the advice from them was very very helpful. It was exactly what we were looking for, beautiful beach, quiet, the condo was awesome, had the time of our life. We rented a car which you would pretty much have to, found the grocery stores, and drove all over the island. So safe and people are very friendly and helpful there. We miss it already and will definitely be going back. Thanks Sue and Fred for your condo, we had an amazing time.